Netflix will not be involved with any further production of House of Cards that includes Kevin Spacey. According to the Hollywood Reporter, Netflix is officially severing ties with Kevin Spacey amid mounting allegations of sexual harassment made against the House of Cards series star and executive producer. Additionally, the company has stopped a Gore Vidal biopic starring Spacey. Media Rights Capital issued a statement soon after confirming Spacey has been suspended from the series. “While we continue the ongoing investigation into the serious allegations concerning Kevin Spacey’s behavior on the set of House of Cards, he has been suspended, effective immediately. MRC, in partnership with Netflix, will continue to evaluate a creative path forward for the program during the hiatus,” the company stated. Netflix’s decision to cut ties with the actor comes days after Star Trek actor Anthony Rapp alleged in a BuzzFeed News interview published Oct. 29 that Spacey made unwanted sexual advances toward him in 1986, when Spacey was 26 and Rapp was 14. Spacey issued a statement in which he said he did not remember the incident but “sincerely apologized.” Spacey also drew ire when he used that same statement to come out as a gay man. 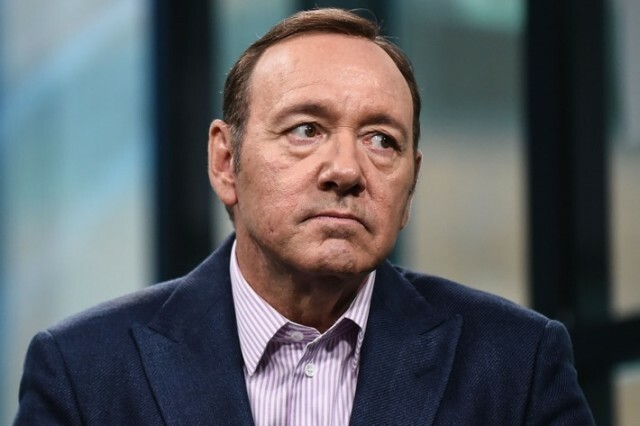 However, allegations continued to mount against Spacey, including from several House of Cards employees who spoke to CNN about their experiences with Spacey. One production assistant recalled Spacey putting his hands down the assistant’s pants without his consent and then later touching him inappropriately a second time. Another crewmember recalled Spacey massaging his shoulders and touching his stomach. MRC said it had set up an anonymous complaint hotline, crisis counselors and sexual-harassment legal advisers for the crew of House of Cards. The company also said it would “continue to thoroughly investigate all current claims and any new claims that are formally brought to our attention, and will continue to monitor our own production and practices to ensure that our cast and crew feel safe and supported.”Additionally, Netflix is mulling potential House of Cards spinoffs, one of which would center on Michael Kelly’s loyal sidekick, Doug Stamper. In addition to starring in the drama, Spacey also served as an executive producer along with his producing partner, Dana Brunetti, through their Trigger Street Productions banner. Spacey, already a two-time Oscar winner, had won a Golden Globe for his performance as Frank Underwood, in addition to earning five Emmy nominations for each of the show’s five seasons. “House of Cards” became Netflix’s first major awards contender, winning three Emmys its first season, including best directing for David Fincher, and earning nominations for best drama series, best actor in a drama series and best actress in a drama series. The “Gore” biopic had wrapped shooting in Italy in recent days, just as the scandal erupted. Directed by Michael Hoffman, the film has been in production for several months. The film was based on Jay Parini’s 2015 biography, Empire of Self: A Life of Gore Vidal, and focused on the period following Gore’s loss to Jerry Brown for the Democratic nomination to the U.S. Senate. Gore retreated to his Italian villa, La Rondinaia, on the Amalfi Coast in a bacchanalian attempt to circumvent his writer’s block and sense of ennui. Netflix had planned a 2018 release for Gore. Spacey is the latest Hollywood figure to face sexual-harassment allegations. Harvey Weinstein has been accused of sexual harassment by more than 70 women and was terminated from The Weinstein Co. Earlier this week, Brett Ratner was accused of sexual misconduct by six women in the Los Angeles Times, and Warner Bros. severed ties with the director soon after.